OK, everyone here is my new email campaign I've been working on. Let me know your thoughts. Is it concise and compelling? I await your critique and suggestions. OWNER'S NAME, my name is Zac Hawkins and I administer the website, InterNet Work Marketing. I recently happened upon your site. On my site I provide other website owners with free full page content ads with full blog capabilities and links to your site. These pages are fully optimized with title, description and keyword tags automatically built in with my automated system. Google just loves these content ads. They are much more effective than links in directories with 1000s of other sites no one ever finds. .
Not to mention your links in forum posts that fade away in a day or two never to be read or clicked on again. That's why I use the same full page ads for my forums too. It is not unusual for well written ads or forum posts to get 100s of page views a month of free targeted traffic on a continual basis, month after month! You may be thinking, why does Zac do this? Good question. It is because by letting other marketers advertise for free on my site, I attract the best marketers on the internet. The only difference is I only put the urls in the actual email since they automatically convert, if you know what I mean. So, what's everyone think of this new email campaign? Where could I improve on this email? 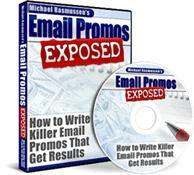 Email Campaign by clicking here. Now I just thought of something else. Plus my forums and free advertisements for that matter are their own unique webpages with full title, description and keyword tags. Other forums simply can't do this. That's why you can make a great post in a conventional forum, and after a few days it sinks down the list and no one ever finds it again! Not so with my system. This is not my only site is use this on. I have posts to my forums made years ago that continue to get hundreds of page views a month, some approaching 1000! And they will continue to year after year. What other forum can you say that about? Since I let my forum visitors link to their sites and self promote, how cool is that? But on the other hand, I do need to keep this concise. I would like to get this across somehow though. I think I'll work on a revision. I've heard other marketers say just changing one word turned their whole email campaign around. I just thought of something I should have included in the email campaign. I should have mentioned that their free ads are included in my blog which gets them immediate exposure on the web and with search engines. I see it all the time, when I check my SE rankings, a lot of the time the page will show up, but the page's entry on my blog shows up first on search results. Often times I see both of them showing up together (I just love that don't you? ), but usually the blog entry shows up quicker.